West Ham were reeling this morning having being branded ‘merciless and cruel’ by thin-skinned Fulham fans after yesterday’s gruelling 3-0 footballing lesson at Upton Park . Julian Thorpington-Barnes, speaking from his trendy little West London bistro, complained “there was simply no need to rub our noses in it with Matt Taylor’s sassy strike for the third goal –frankly, I was left feeling demeaned and humiliated”. “I can only imagine how distressing it must have been for those fans that were foolhardy enough to actually attend the match”. The 3-0 spanking extends the Hammers enviable record against the hapless Cottagers to a ridiculously one-sided affair where, apart from a disputed 2010 result, the dominant Hammers remain unbeaten in the clubs last 16 meetings. However, in their defence, it should be noted that the west London artists were lucky to be able to field a full team due to a severe outbreak of Gout in the camp during midweek. 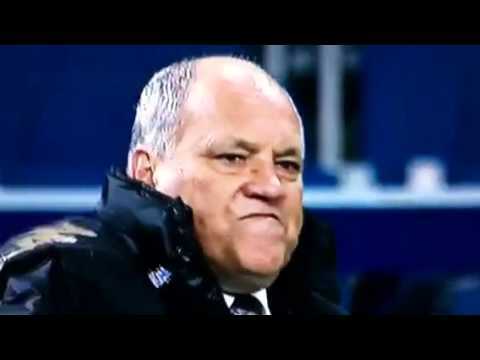 Coupled with the poor timing of yesterday’s fixture – clashing with the annual Hammersmith and Borough literary festival at which numerous members of his first team squad were giving readings –the normally upbeat Fulham team boss Martin Jol was left scowling with frustration. 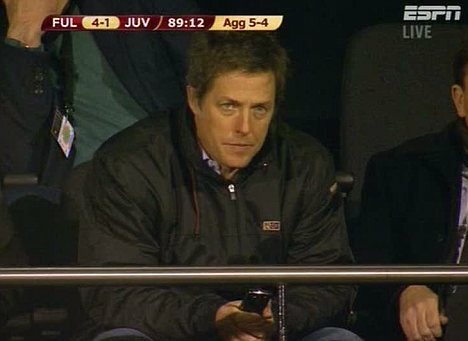 Moreover, without the thunderous support of their most famous fancier, the raffish Hugh Grant, the Fulham team were left without voice in the veritable cauldron that is the Boleyn ground. Club sources commented that although Fulham’s innocuous image continues to attract high profile artistic and thespian types as supporters, unfortunately many of these are too busy prancing around with other commitments to bother to attend actual matches. We can say with confidence that, were he alive today, Franz Kafka would have favoured Fulham over other premiership clubs. The depressing incompetence, dowdy club colours and general sense of futility would almost certainly have appealed to the dour Czech novelist. But for the buoyant Hammers it's all fun and frolics right now, prompting Big Sam Allardyce to observe " If we can just keep it together for another 30 or so games then we will be on the verge of a champions league spot". West Ham 1 Wigan 4: Kids get a proper spanking!